Courtesy of Desert West Realty LLC. *ORIGINAL OWNERS* BEAUTIFUL AND SPACIOUS ONE LEVEL Intregra Block HOME WITH 3 BEDROOMS AND DEN/OFFICE OR USE AS A 4TH BEDROOM! LARGE EAT-IN KITCHEN WITH VIEWS TO THE PLUSH BACK YARD. *TILE IN THE RIGHT PLACES* *LOTS OF WINDOWS FOR NATURAL LIGHTING* *BE THE ENVY OF THE NEIGHBORHOOD WITH THE GORGEOUS LUSH GREEN LAWN AND MATURE LANDSCAPING ON A CORNER LOT* *STORAGE SHED INCLUDED!!! * NO HOA SO IF YOU HAVE TOYS… THERE IS SPACE FOR YOU TO CUSTOMIZE! ALL APPLIANCES INCLUDED… AS IS. Minutes from GCC, Glendale City Library, Saguaro Ranch Park, Schools, Shopping, etc… TAKE A QUICK LOOK… PRICED TO SELL!!! Directions: Peoria to 63rd Ave. Right to Cochise. Follow Cochise and it will bend into 62nd Drive. House is on the corner of Beryl/62nd Drive. Approximate size: 6891.00 sq. ft. 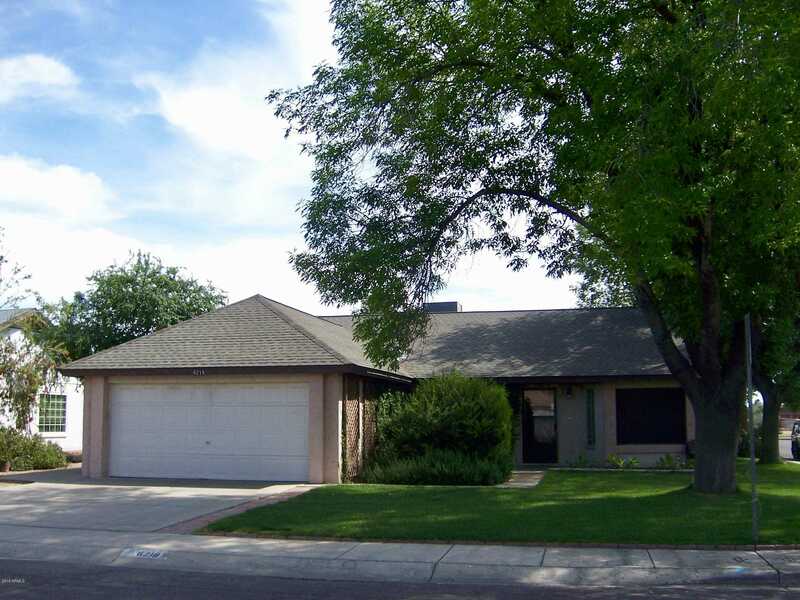 Please, send me more information on this property: MLS# 5911594 – $234,000 – 6219 W Beryl Avenue, Glendale, AZ 85302. I would like to schedule a showing appointment for this property: MLS# 5911594 – $234,000 – 6219 W Beryl Avenue, Glendale, AZ 85302. This content last updated on April 19, 2019 14:52. Some properties which appear for sale on this web site may subsequently have sold or may no longer be available.